Orlando was once described to me as "the world's biggest airport terminal," and I've never been able to shake that image. Its skyline in the popular imagination consists of the Epcot ball, the Cinderella Castle, and a sprawling procession of souvenir shops, chain restaurants, billboards, and 10-lane boulevards sweeping across Central Florida. In sum, one hucksterish blob of generic America, plus mouse ears. But -- and there is a but! -- Orlando has quietly been growing beyond its theme-park roots. No longer a mere glut of vacationers and every chain restaurant in history, it's one of America's most surprisingly dynamic places. Almost 50 years after Disney put training wheels on Orlando, you'll find a real city there -- in one of the country's 30 largest metro areas -- with a real identity. And it's attracting young, creative people looking for a cheap place to set up shop, amid a town that's uncommonly savvy about how it wants to evolve. The next time you're going to see Goofy, set aside time to visit Orlando proper. The city is a living graduate course in how smart urban planning can create a vibrant, creative landscape equally fun to live in or visit. Orlando's evolution didn't happen overnight. 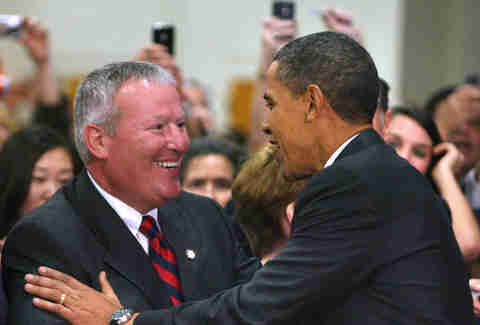 Mayor Buddy Dyer, who's been in office nearly 14 years, pushed this 21st-century urbanism with his Main Streets program, which invested in the historic neighborhoods that surrounded Downtown, turning them into eclectic areas full of breweries, coffee shops, and other small businesses. This might seem a little misleading, as at first glance, these mid-century neighborhoods look like a collection of nondescript strip malls lining broad main streets. But take a peek in the storefronts and you'll see that Orlando has more character than you'd expect. The squat, single-story retail spaces that line Audubon Parkway, for example, were once the standard pawn shops and payday loan stores leading to the nearby Naval Air Warfare Center. That base has since moved, and the businesses here are now stuff like the Redlight Redlight brewery and Stardust Video & Coffee. Audubon Park is but one of nine neighborhoods the city has redeveloped in this fashion. Once you’re out from under the mouse’s watch, the city feels more like a warmer version of the Pacific Northwest than it does sprawling modern Florida. "These main-street districts have allowed people to really create an identity for themselves as Orlandoans," says John Rife, the founder and owner of East End Market in Audubon Park. "It lets us self-identify, rather than live under the shadow of the mouse." Rife's market is a prime example of Orlando as Actual Town. The space is a converted church where bakers, butchers, brewers, and coffee roasters peddle wares under an event space and sometime-yoga studio. Residents from all over come here to get fresh local produce and gather at the ample tables outside. Not far away is the seemingly nondescript Mills 50 district, which houses the most diverse collection of restaurants in the city. An influx of Asian, Puerto Rican, and Mexican immigrants has turned the area around the intersection of Mills Ave and Highway 50 into a dining hub where the innovative Hawkers sells small plates of Asian street food, beside Black Rooster Taqueria, beside Banh Mi Nha Trang and its 22 different kinds of banh mi. The neighborhood also boasts barbecue, Mexican, Cuban food, and other global eats. You'd be hard-pressed to find a neighborhood with such an eclectic collection of affordable restaurants anywhere else in Florida. In the parlance of the area, picture dining around the world at Epcot -- without the $85 cover charge. Another part of creating the city's identity has happened through sports. In the '80s, the city made a leap by winning the NBA expansion team that became the Magic. Lately, though, the MLS' Orlando City Soccer Club has overtaken the NBA team as the city's darling. Driving through Orlando, seemingly every car sports some sort of Orlando City sticker. The fanbase here is as fanatical as you'd find in Seattle or Portland, if not deeper. "We're the first team that people who live here could identify with, something to call their own," says Diogo Kotscho, an Orlando City spokesman. "Not to say anything about the Magic, they're a great organization, do great things in the community. But look at the name. It's 'Magic' -- it's still named after Disney. We're the first team that people who might have moved here or even are from here feel like is really FROM Orlando." 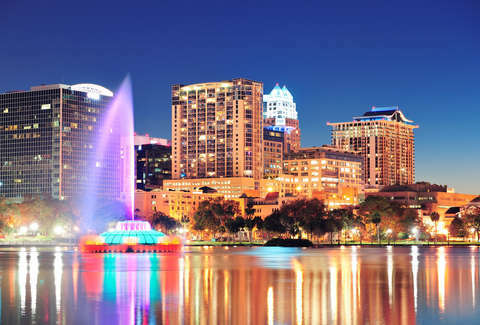 Urban planners say Orlando is "the only proper city in the state." The team's new stadium is the icon of Orlando's new Downtown, a state-of-the-art facility designed to show both residents and visitors alike that this city thrives independently from the theme parks. It sits at the end of Church St, which also includes the Magic's new Amway Center, the post-$200-million-facelift Citrus Bowl, and the Dr. Phillips Center for the Performing Arts, the most advanced such venue in the Southeast. Plan your trip right and you can experience the intensity of the passionate Orlando City fans, then take in a ballet at one of America's finest new performance halls. Again, a hard feat to duplicate anywhere else in the region. As the newest of Florida's four major metro areas, Orlando had the benefit of watching the mistakes that Miami and Tampa have made in terms of planning, or lack thereof. "Orlando is the only true city in Florida," says Kelly Cohen, who sits on eight boards in the city and chairs the city's public policy committee. "Urban planners say, from a city sense of having a Downtown core and then well-planned, residential areas moving outwards from that, it's the only proper city in the state." While nobody was paying attention, Orlando surpassed Tampa and Miami to become the fastest-growing metro area in the state. And its job market is third-best in the country, according to those raters of all-things-financial at WalletHub. "About six or seven years ago, people who were born here started sticking around," says Rife. "Then the talented people who came down on contracts to work for Disney saw other people starting new businesses and decided to hang around for inspiration. Yeah, they could move to Portland or Austin, but there, the pond is pretty much full." Picture dining around the world at Epcot -- without the $85 cover charge. "In Orlando, the barriers to entry are so low. We're landlocked, which means there's plenty of areas that can become neighborhood nuclei. You can build pretty much anywhere and that makes for fantastic opportunities. So there's so much creative stuff going on." Rife’s point is driven home on a drive through Orlando's neighborhood main streets. Those things that become major draws for giant-city-dwelling millennials looking for a weekend trip -- local markets, innovative restaurants, funky bars with live music -- can be found on nearly all of them. Once you're out from under the mouse's watch, the city feels more like a warmer version of the Pacific Northwest than it does sprawling modern Florida. And a few days spent exploring here with no thought of theme parks will have you going home saying, unbelievably, "Why can't we do things like they do in Orlando?" For now it's under the radar, so enjoy it while everyone assumes it's still a strip mall. Everyone looking for the next hip thing always forgets to look in the shadow of the mouse. Matt Meltzer is a contributing writer with Thrillist who will never eat at another chain restaurant in Central Florida again. Except Giordano's. Follow him on Instagram @meltrez1.